Are You Maximizing the Benefits of Outsourced Accounting Services? More and more agencies are using outsourced accounting services to give their profits a quick boost up to 42%. That’s a juicy reason to send services to BOSS’ outsourced accountants. But there’s a problem – many agencies are only looking at overseas operations as a way to reduce costs… which means they’re leaving a number of further benefits lying untouched on the table. Agencies are tapping into outsourcing to shrink operating costs, to reduce their capital investments, and to bear down on their core business offerings. But that’s only half of what outsourcing can offer. The other half is that outsourced accounting services are not just about reduction but about growth – decreasing turn-around times, increasing the quality of the services rendered, speeding up response-times to customers, and broadening just what your particular firm considers its core services. It’s all about whether you have a short-term or long-term goal for your business. The short-term of course is that almost immediate jump up to a potential 42% profit (as reported by one of our clients). The long-term is about leveraging a deep and wide pool of trained outsourced accountants in order to reshape the very foundations of your business. Happily, with BOSS’ outsourced accounting services you get to reach both kinds of goals in one decisive and simple action. It’s hardly news that the financial world is shrinking. Twenty years ago you could market yourself as your particular city’s top accounting shop. But now, thanks to the internet age, you’re no longer competing just with other services in Sydney, Perth, wherever your brick-and-mortar offices are located – you are now, whether you like it or not, in a nation-wide league. And there are some big players in this league. For example Deloitte, the international financial concern with member firms in a range of countries, is opening up its gates to release a flood of services aimed at the SME sector with its Private Connect Technology. Their technology, based on cloud computing, allows SME entrepreneurs access to current management reports, online payment authorizations, queries, and alerts all through one easy-to-use portal. You’re probably not going to have the resources to take on a flock of programmers to create your own specialized portal software. So how do you compete? You partner with BOSS’ outsourced accounting services and let us aid you in staying relevant. When you partner with BOSS outsourcing accounting services you’re changing your business in two essential ways. The first is you’re changing what your firm has on offer. The services you always had on the menu will now be turned around faster. This leaves room for you to take on new clients, meaning your firm is primed to grow. You’re also going to be able to expand that menu of services. 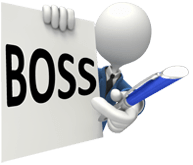 BOSS staff can do any Australian bookkeeping, tax, or SMSF work an Australian accountant can do. So if you’ve always been about individual income returns, now is your chance to expand into small business bookkeeping. Did you build your reputation on tax prep? Now you can offer business start-up assistance. The second change focuses on the heart of your business – you. Your role in both your business and in the lives of your clients is going to change. You’re going to redefine yourself from being an accountant to being a business consultant who is tapped to help with key financial decisions concerning your clients’ businesses. And you’re going to create all of this expansion in the long-term while having an explosive gain in your profits in the short-term. Perhaps the greatest thing that BOSS can offer you with its outsourced accounting services is that there’s always more – more ways to redefine, reshape, and grow your firm. Tapping into a well of benefits that won’t ever run dry – now that’s strategic thinking.